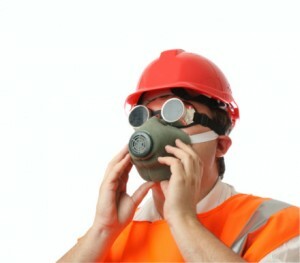 For your safety and peace of mind, always work with an asbestos certified contractor in Pomona CA like AQHI Inc.
AQHI Inc. is an asbestos certified contractor in Pomona CA with the skills and experience required to tackle even the toughest remediation projects in a safe and cost-effective manner. We hold 5 different asbestos certifications and we have completed thousands of successful asbestos removal projects. Safety: During every project, we take all possible precautions to protect the health and safety of our workers, your building occupants, and the environment as a whole. We use industry best practices to minimize the amount of asbestos fibers that come loose from the materials during removal activities. We also utilize state of the art air filtration and cleanup methods to prevent these fibers from escaping the work zone. Compliance: As an asbestos certified contractor in Pomona CA, we comply with all rules and regulations on asbestos handling and disposal. Our compliance makes it easier for commercial property owners to secure the clearances they need to reoccupy their buildings following work. Unfortunately, your average asbestos certified contractor in Pomona CA is not really certified for all the services you need. Specifically, they may be missing the necessary certification to transport asbestos waste to an approved disposal facility. This will leave you facing the hassle and expense of hiring a separate contractor for this service. At AQHI Inc., we have the certifications required to transport bagged asbestos waste to designated disposal facilities, and this service is always included in our bid. Remember, any damaged asbestos-containing materials constitute an active health risk on your property. Don’t leave your health at risk one moment more. Instead, contact an asbestos certified contractor in Pomona CA like AQHI Inc. to remove the risk once and for all. With multiple locations in southern California, we can launch a fast response no matter where your property may be located. Our asbestos removal office for Asbestos Certified Contractor in Pomona CA is open Monday through Friday between 8:00 AM and 5:00 PM and closed for lunch from noon to 1:00 PM. With advance notice, projects can be scheduled for weekends, early mornings and evenings.